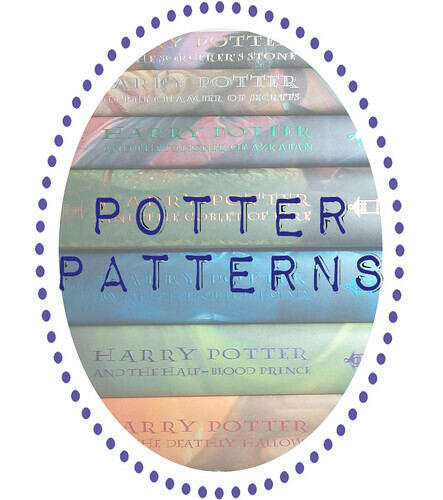 Sew Festive Handmade: Potter Pattern Reveal, Day 1! I'm so excited to share these with you! 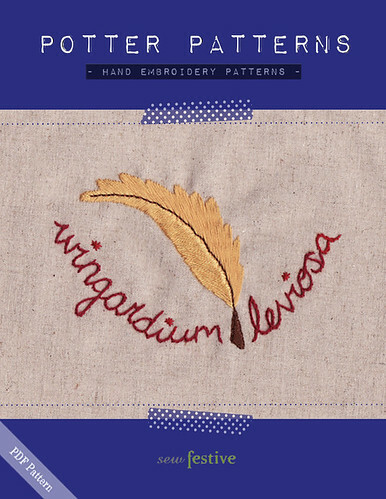 These Potter Patterns have been my biggest behind-the-scenes project all summer, and I have spent countless hours drawing, stitching, designing, and working on the computer to bring a clean, professional product to you all! I've decided I was utterly crazy to work on 8 patterns all at once because it was a huge undertaking. And while I always knew that making patterns of any kind took a long time, I have such respect for those who do it for a living, especially after this whole experience. 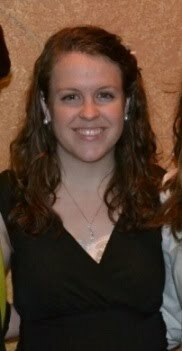 I still want to talk more about my pattern-making experience, but I'll save that for another day. Until then, here's the first 4 of 8 patterns that will be available for sale tomorrow! Each pattern is anywhere from 10-14 pages and includes pictures of my sample on the pattern cover and in a hoop on the wall, supply list, tips for tracing your pattern, pattern notes, ideas for individualizing your pattern, suggested DMC floss colors, stitch guide, black and white pattern for tracing, reverse black and white pattern for iron-on transfer, and color pattern with recommended stitches. 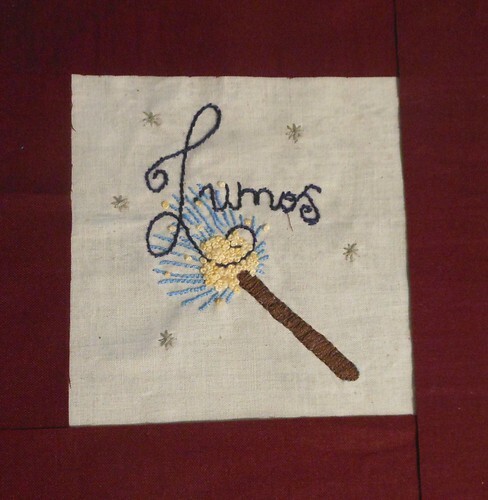 My favorite thing about this pattern is that you could totally use it even if you're not a Harry Potter fan! 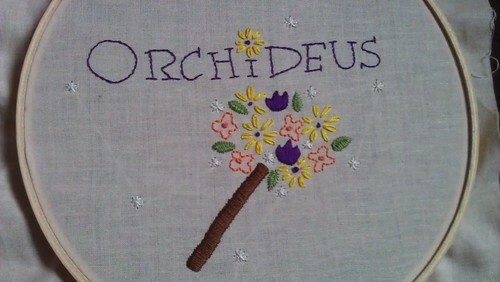 Those bunches of flowers would look great on all sorts of things :) Jenni stitched this up for me and I have to show two pictures from her because that second one is probably the most perfect detail embroidery shot I've ever seen! Stephanie tested this pattern for me, and she was invaluable in making some extra notes in the pattern to make it easier for you all to stitch! 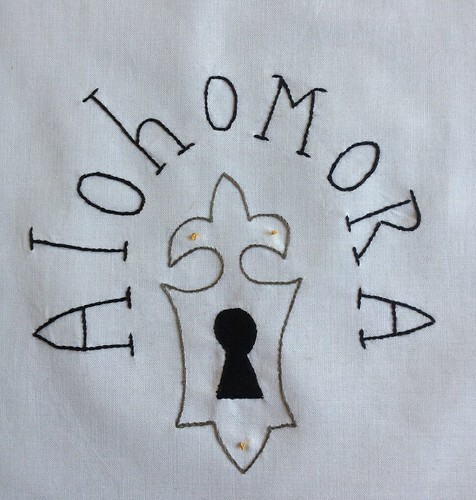 Plus how clean and fantastic does her embroidery look?! I did change some things after she stitched up her test pattern, so you'll notice that her feather has a stem stitch outline, but after some careful consideration I switched the pattern up so that there is no outline. Of course you can still choose to outline the feather, but I like the more ragged look of no outline...somehow it's more "feathery" to me. 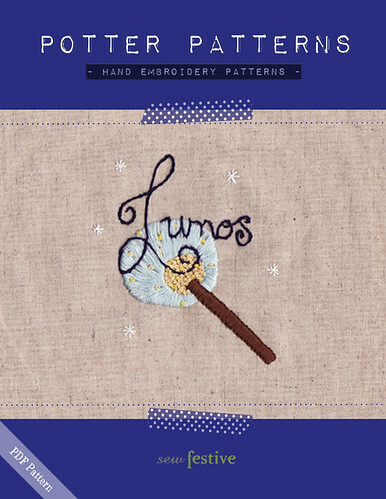 Lumos was one of the first patterns that I came up with last year, but it has evolved over the year to the current pattern. Rebekah tested this for me, and look, she's already even got it sewn into a block. She told me she's thinking about making it into a pouch. 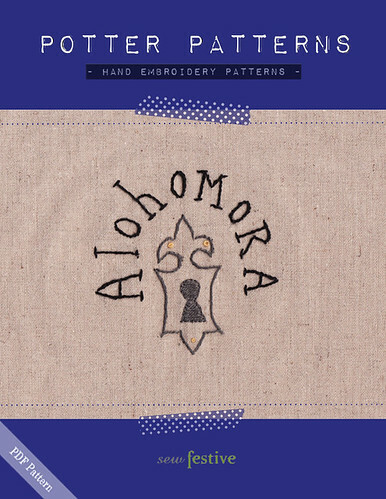 This is another pattern that alerted me to the fact that my original pattern drawings might be a little confusing, which is why her radiating blue portion is lines instead of satin stitch like the pattern cover. I still think it looks great though! Plus, um, hellooo French Knot pro! 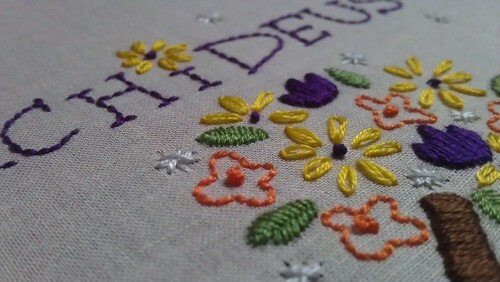 If you want to perfect your French Knots, this is the pattern for you! 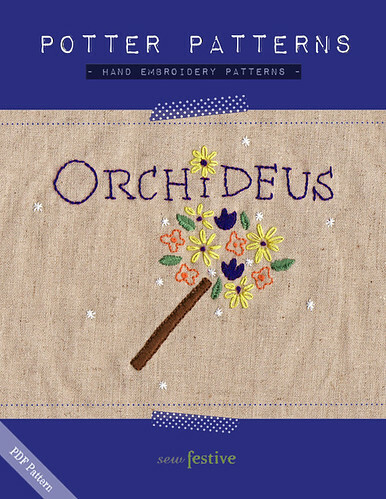 This pattern is excellent if you're just getting into embroidery. 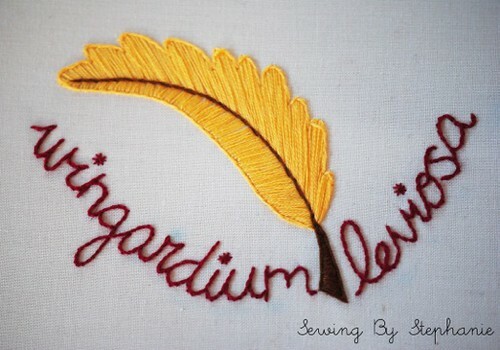 It's short and sweet but helps you build some great embroidery skills including stem stitch, backstitch, satin stitch, and a few French Knots! Colby stitched this up for me and look how great it looks! How does she get all the wrinkles out?! No matter how much steam I use I cannot get the most stubborn hoop wrinkles out. So cute!! They look wonderful. Yay!!! So excited for these. My sister is going to love whatever I decide to make with them! They all look so great! I use best press as my starch alternative. It smells good, doesn't leave flakes, and gets even the most stubborn wrinkles out! I am peeing-my-pants excited by this!!!! Thank you thank you thank you for all your hard work. I can not wait to get my paws on these patterns! These are great, Rebecca! Congratulations on all of your hard work. I like the Wingardium Leviosa one the best so far!